When applying for an IEC visa in Canada, having travel insurance is a key requirement. 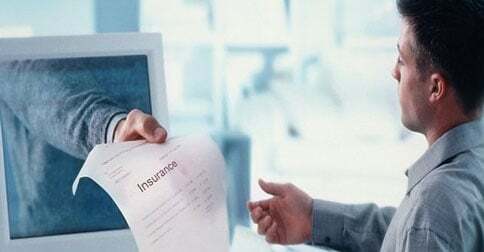 If you travel to the North American country and were asked to provide your insurance details, but you cannot do so, you won’t be able to get your visa. But regardless of whether it is mandatory to get insurance or not, having this “safety net” can definitely come in handy in certain situations. Meanwhile, here some of the questions you need to ask when securing travel insurance in Canada. What is the maximum length of coverage? As mentioned earlier, immigration officials will ask you to provide your insurance details. In addition to that, they also have the power to limit your work permit to match the duration of your policy. For this reason, it is important that you take out insurance for the full duration of your visa. Take note that some insurance providers will allow you to extend your policy, but some won’t. There are also others who allow extensions but you have to leave the country temporarily. As such, it is important that you determine early of in you can extend your policy, especially if you’re not sure how long you’ll be staying in Canada. Do you provide winter sports coverage? Winter sports are extremely popular in Canada. If you’re planning on skiing or snowboarding during your visit, it would be wise to ask your insurance provider if they provide coverage for winter sports. This way, you’ll have peace of mind knowing that you’ll get financial assistance in case you injure yourself. If I leave Canada, am I still covered by the policy? In case you want to go to the United States, the Caribbean, or elsewhere for a quick visit, it certainly helps to know if you will be covered to the same extent as you will be in Canada. What is the extent of your medical coverage? Before purchasing an insurance policy, it is important to determine what’s included in it. Will it cover pre-existing conditions and non-emergencies? Finding the answers to this question will help you determine if the policy is suited for your needs. Do you cover loss/theft of passport? There’s always the risk of misplacing or losing your passport when travelling. As such, it’s good to know if you’ll have support from the insurance provider in case such a scenario happens. If there are provisions in the policy that you don’t understand, you should clarify them with your insurance provider to avoid potential problems in the future.